Back in the days "hot off the presses" really meant something in the news! But when today's surviving newspapers decide to endorse candidates for prime minister... Is it a practice as anachronistic as setting lead type? Or a fine democratic tradition that deserves to continue into the digital age? The good, old-fashioned newspaper doesn't wield quite the same kind of power in today's digital world as it once did. But come election time, newspapers do flex their muscles once again. It's called newspapers' political endorsements. In the coming days plenty of Canadian papers will publish their picks for Prime Minister -- urging their readers to vote one way or another. 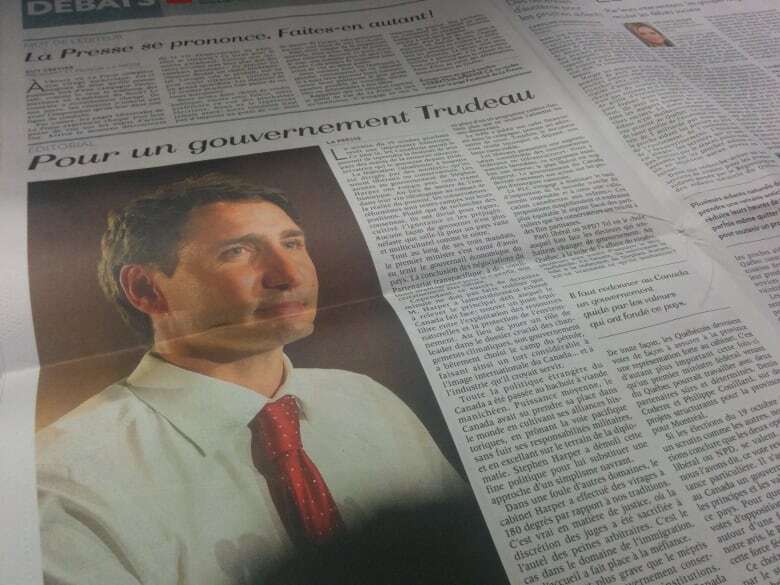 Earlier this week, in fact, the French-language daily La Presse kicked things off by endorsing Justin Trudeau's Liberals. It was the first time the paper had endorsed anyone since 2006 -- when it threw its weight behind Stephen Harper's Conservatives. The newspaper endorsement has a long history -- reaching back to the days when papers were more avowedly partisan. Today, as part of our occasional Eye on the Media series, we're asking whether the practice still has a place in today's media landscape. Kathy English is the Public Editor with the Toronto Star. Dwayne Winseck is a professor at the School of Journalism and Communications a Carleton University and the Director of the Canadian Media Concentration Research Project. He was in Ottawa. Emma Loopis the political reporter with Buzzfeed Canada. She was also in Ottawa. 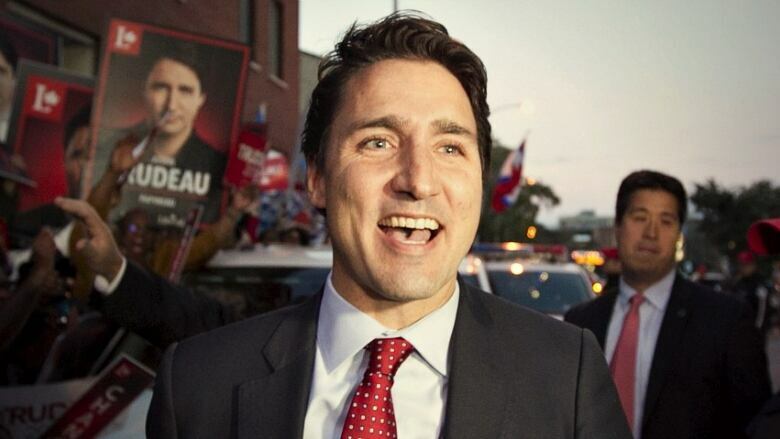 Should Canadian newspapers be endorsing political candidates? Would a newspaper endorsement affect who you vote for? Tweet us @TheCurrentCBC. Find us on Facebook. Or send us an email. This segment was produced by The Current's Julian Uzielli and Gord Westmacott.